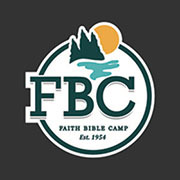 We desire to glorify God by providing a biblical, relational and affordable camping program for children, youth and adults that they may come to know, love and serve the Lord Jesus Christ. The camps are fully staffed with volunteers who have completed Child Abuse Registry Checks and Criminal Record Checks. Some wheelchair accessible buildings. Updated camper and staff cabins with washrooms. Dining hall/ kitchen, Chapel.